The Silver sofa bed from Softline is a comfortable seating and sleeping accommodation in minimalist elegance. 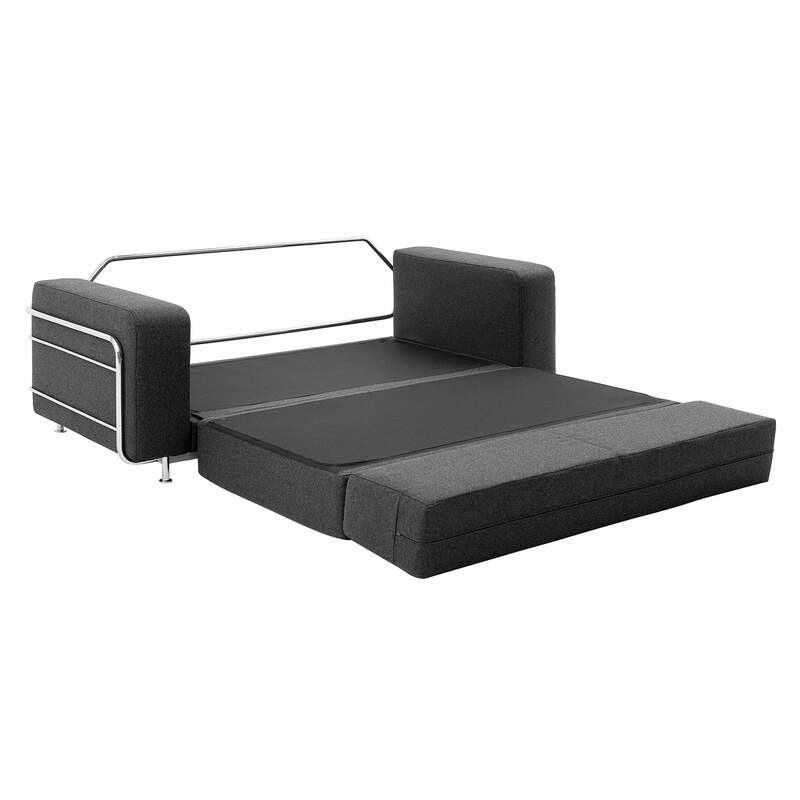 The sofa bed was designed by Stine Engelbrechtsen. Silver provides a comfortable sitting or sleeping area for two people even in small rooms. The sofa has a lying surface of 140 x 196 cm. 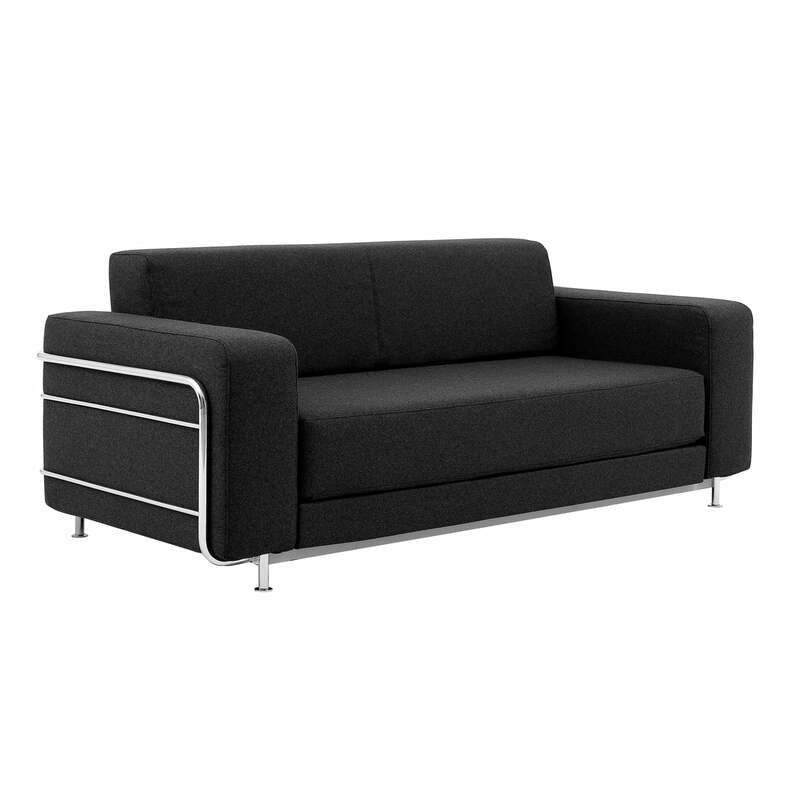 The sofa bed consists of an aluminium frame in chrome or white. Various covers make the sofa ideal for any ambience. Available in different colours, the sofa blends in well with any room. The combination of the covers and the visible metal frame creates a timeless and modern sofa that can be pulled out to sleep. This makes it ideal for small rooms or the guest room. 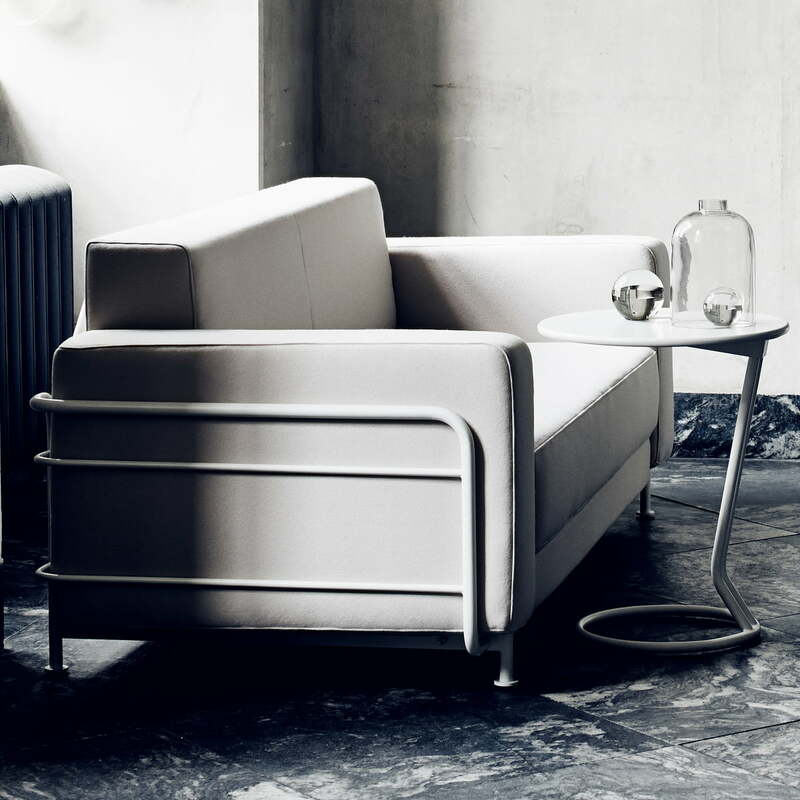 In addition to the Silver sofa, a Silver armchair also belongs to the small series of Stine Engelbrechtsen for Softline. The Silver sofa bed by Softline in chrome / felt melange anthracite (610). The Silver sofa bed from Softline is a comfortable seating and sleeping accommodation in minimalist elegance.